An inefficient, slow or broken boiler can leave your house freezing, your water unheated and cause you headaches trying to fit it. Given that it can also account for up to 60% of your home energy bills, it’s an appliance you want fixed as soon as possible whenever issues start occurring. 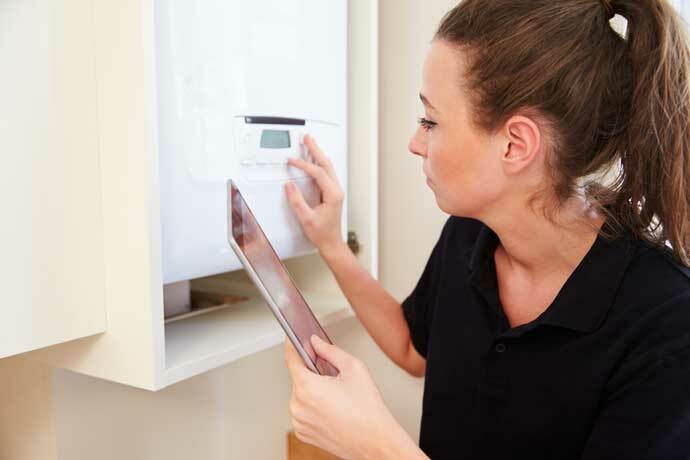 Our Gas Safe qualified engineers carry out boiler maintenance jobs and energy performance checks all the time, witnessing a range of problems on a regular basis. Here are some of the most common energy efficiency issues they come across – and which you should be aware of. When the weather turns chilly, the condensation that gathers in your pipes can freeze, causing blockages. All the condensate then ‘backs up’ into the boiler itself, causing the appliance to shut down entirely. Our clients occasionally say they hear the odd banging or clanking noise which appears to be coming from inside their boiler. This is often the result of air trapped in your system, causing it to let off a range of sounds. As well as banging, listen out for gurgling and whistling sounds, as these could also be signs of the same cause. Another issue that’s often caused by trapped air is a lack of warmth in your radiators. Often in these cases, the radiator is warm in the bottom half but cold in the top. It’s worth trying to bleed it first, as this sometimes solves the issue, but if you’re unsuccessful then your pipes may need clearing through a power flush. It’s always inconvenient when the boiler takes on a mind of its own and decides when it’s going to switch on and off. More than that, it can also leave the house much hotter or colder than you were hoping for, and risks raising your energy bills. Usually the cause of this menace is your thermostat not functioning properly, low water pressure or air trapped in the system itself. Another issue that could be caused by a variety of factors, the most likely in this case being low water levels, the motorised valves failing to work properly and the airlocks being broken. Why spring is a good time to upgrade your boiler What is a hybrid boiler?